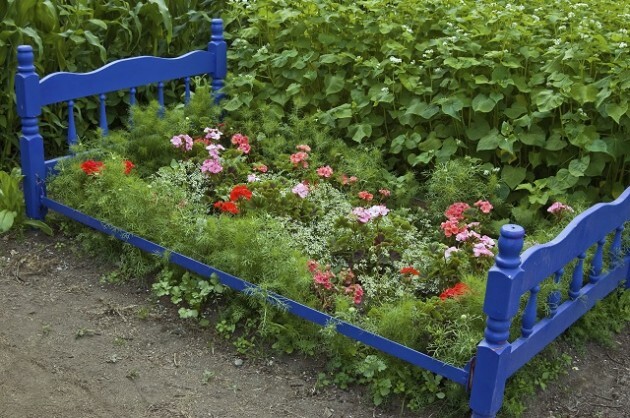 An attractive garden can include beautiful examples of flora but the mandatory part is actually interesting pieces of decoration. If you’re not one of those persons who clutter their garden with what they call useless decorations, there is a way you can blend functionality with aesthetics: garden pots. And turning your regular household items into interesting flower pots will definitely fascinate anyone. In this context, the following collection of 40 low-budget ideas will prove to offer great assistance. 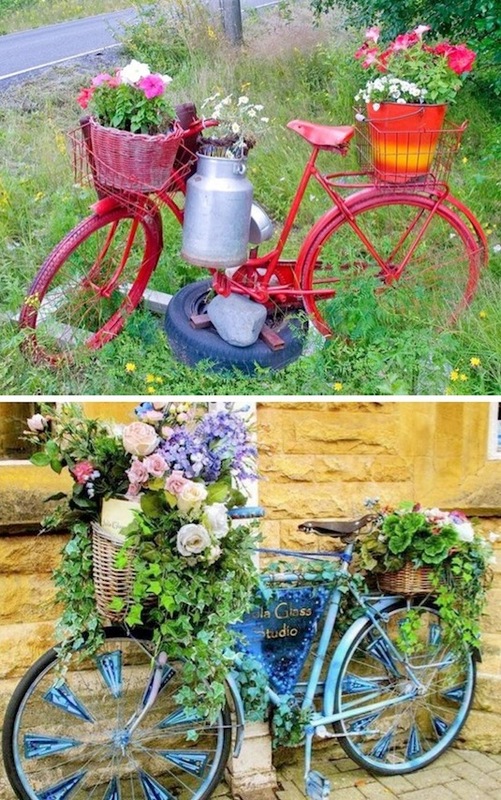 Some might be familiar solutions, like wheelbarrows or bicycles, but don’t be afraid to try something more creative. 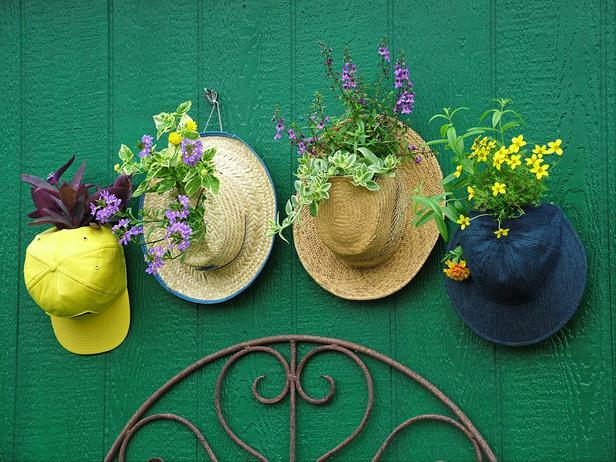 Take a pair of shoes or unused hats and turn them into small homes for your flowers. Tea cups or even bathroom sinks can make perfect ingenious mediums for plants and flowers. Check out the entire collection of fascinating inexpensive DIY garden pots and draw inspiration from them. 4. 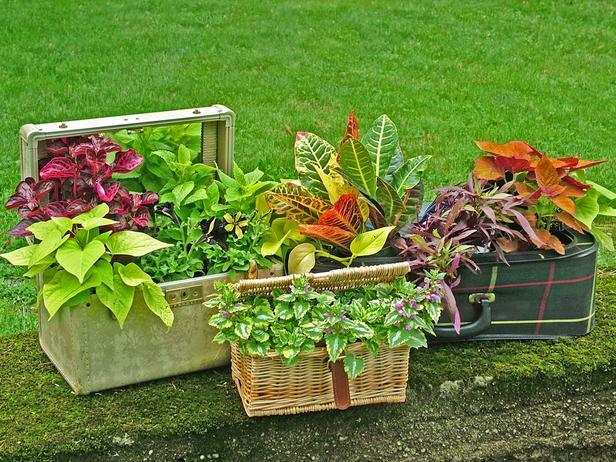 Repurpose old, damaged or about-to-be discarded items into smart-chic containers..
6. 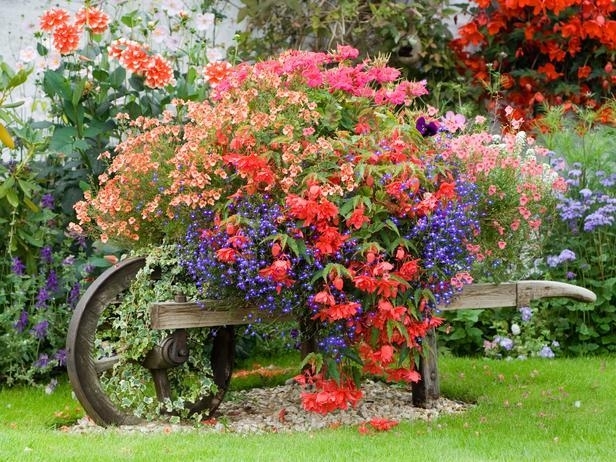 A beautiful old wooden wheelbarrow with flowers..
7. Repurpose old, damaged or about-to-be discarded items into smart-chic containers.. So he gets to start a checking account using a debit card the oldest has a paid research internship this summer. He’s prepared and I will have daily screening of his account online. I am actually grateful to the owner of this web site who has shared this fantastic paragraph at here. What does your reply mean?